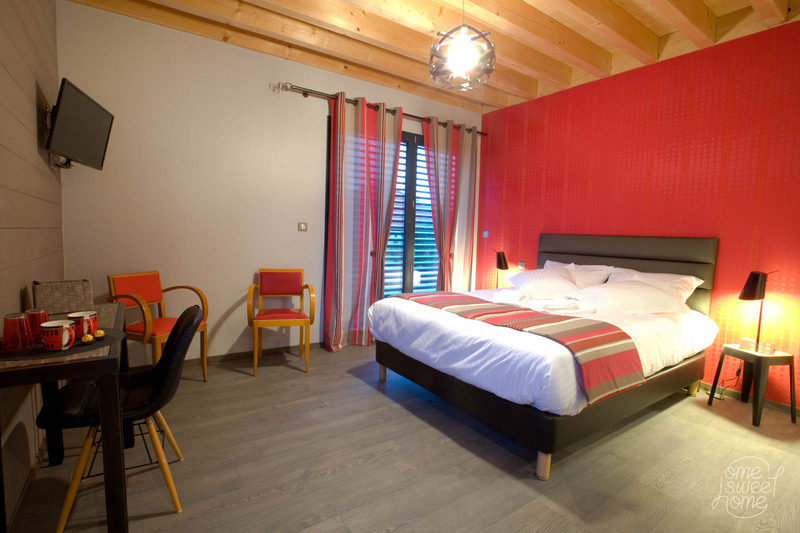 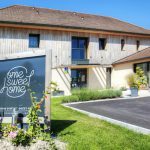 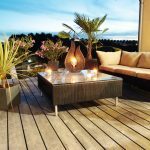 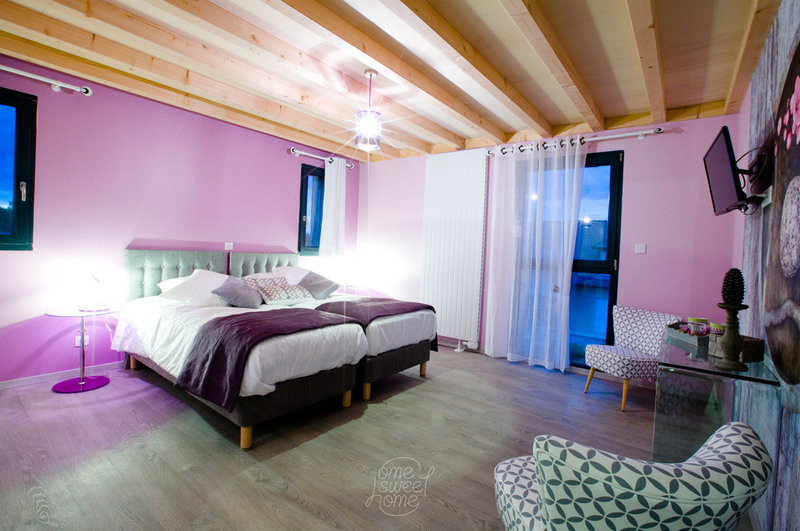 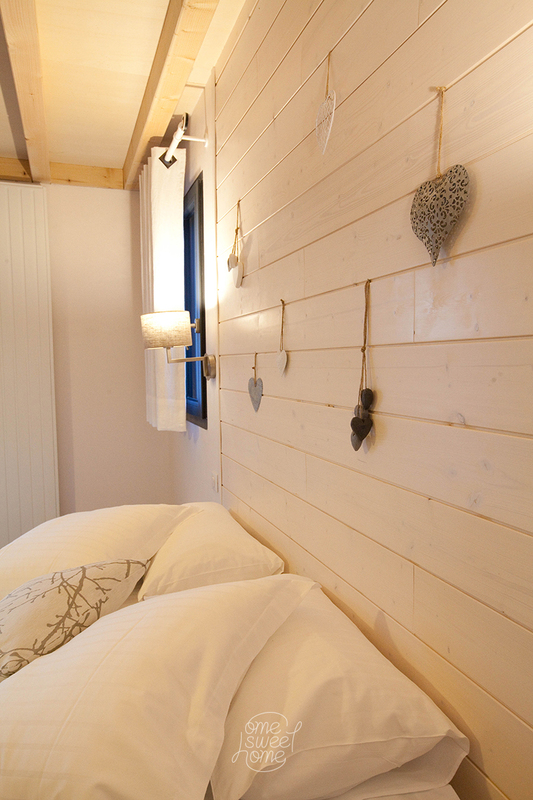 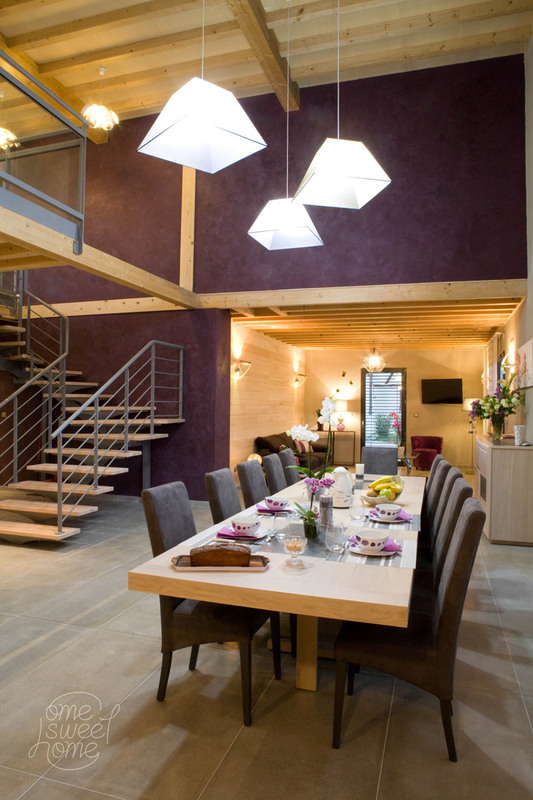 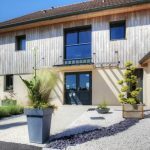 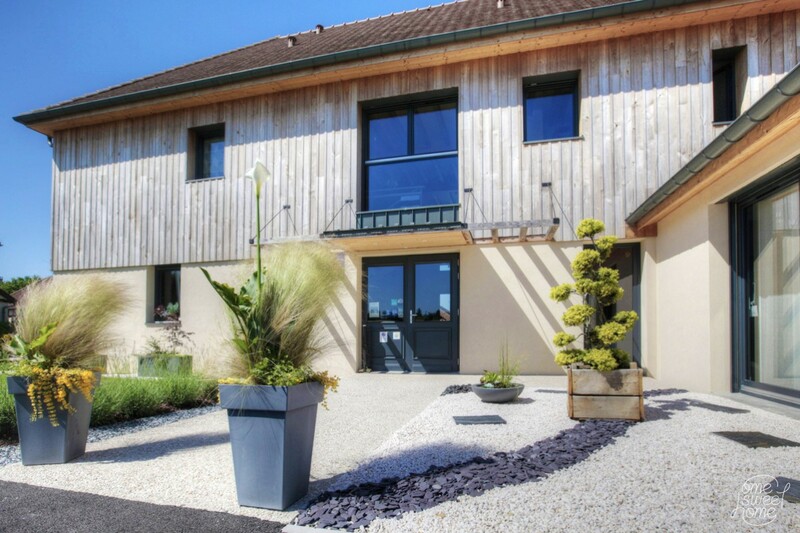 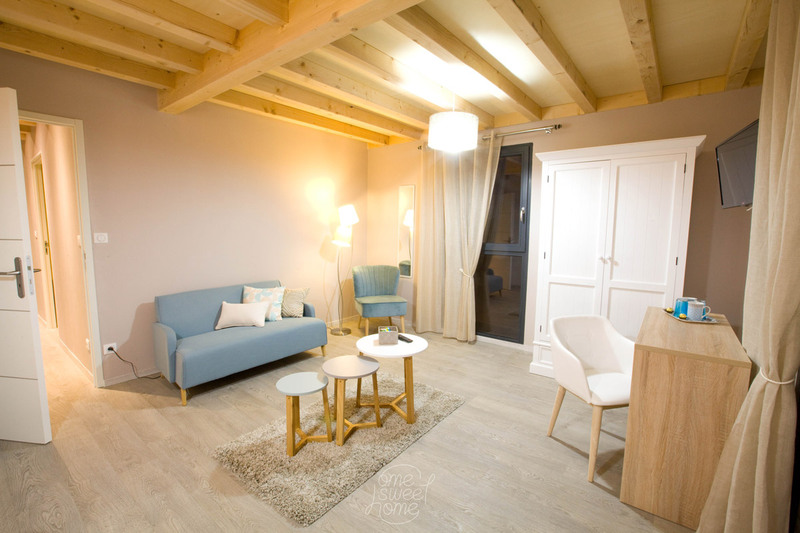 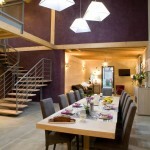 Ome sweet home is a guest house situated around 10 km from Troyes, the “Magasins d’Usine” (factory outlet stores) and the Lakes; this wooden house will seduce you with its natural and relaxing decoration. 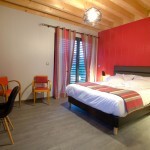 The “Fleur de Châtaignier” bedroom on the ground floor is decorated in warm amber colours; the room has a direct access to the exterior and is accessible by mobility-challenged persons. 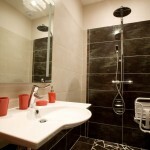 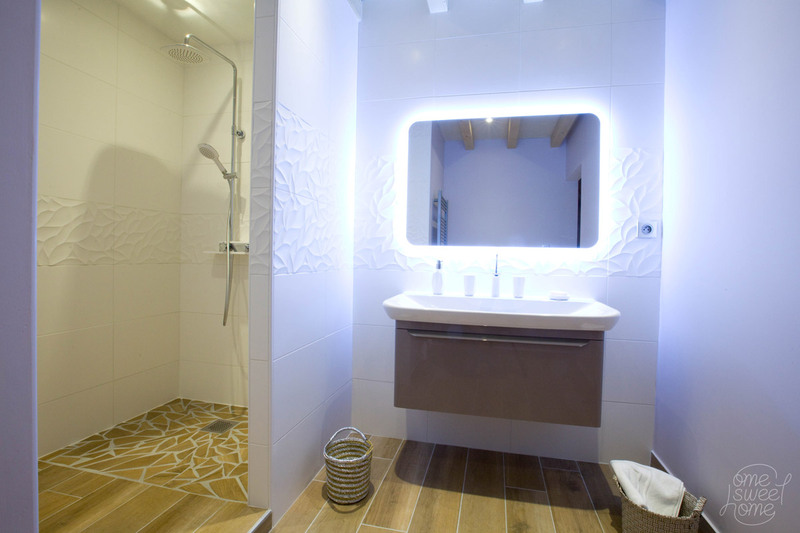 Shower room with walk-in shower and seperate toilet. 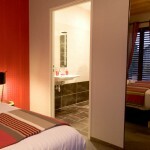 Hair-dryer, flat screen television, free Wi-Fi, cupboard, towel dryer, tablet, private parking and a safe. 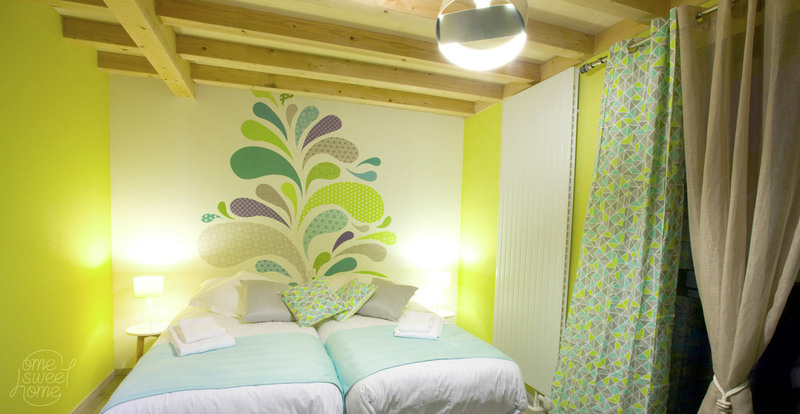 The “Fleur de Peuplier” room is on the first floor and its pastel and floral décor is ideal for a romantic stay; it is a marvellous and comfortable nest. 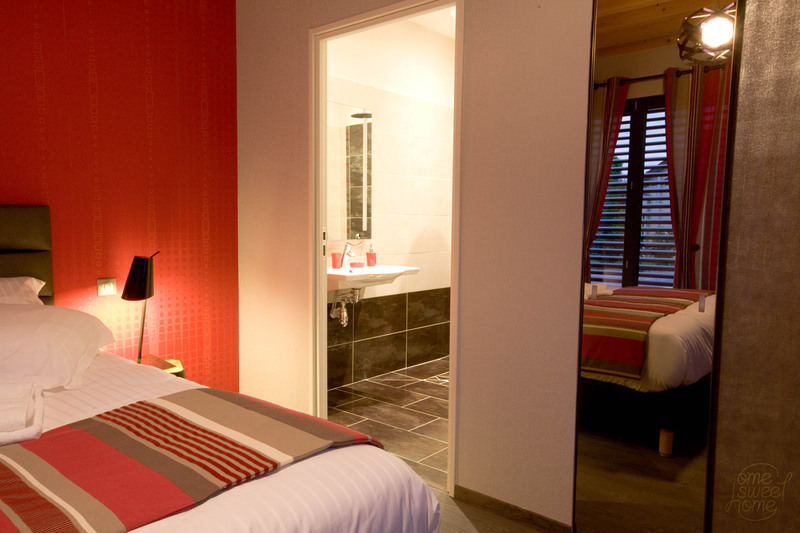 Hair-dryer, flat screen television, free Wi-Fi, cupboard, towel dryer, tablet, private parking, a safe, mosquito nets and air conditioning. 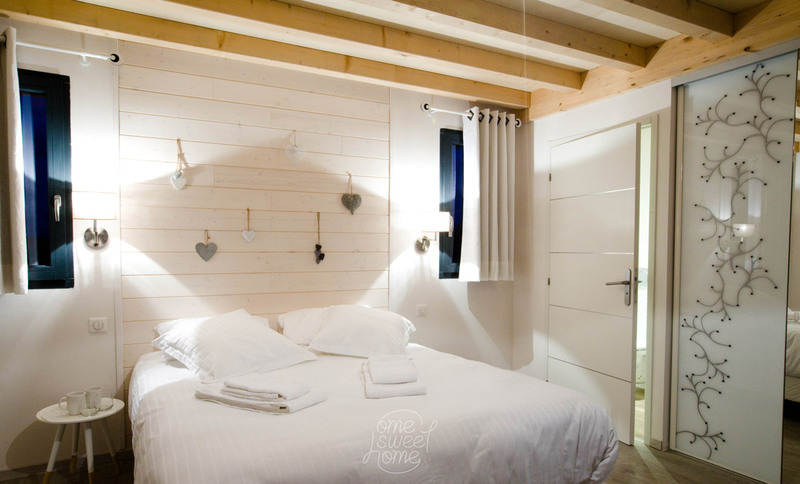 The “Pomme d’Epicéa” bedroom is on the first floor; its original and romantic décor and charming natural vistas make it ideal for an unforgettable stay. 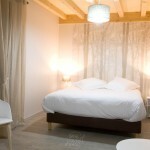 Two comfortable single beds (90×200), or a double bed (180×200) by request. 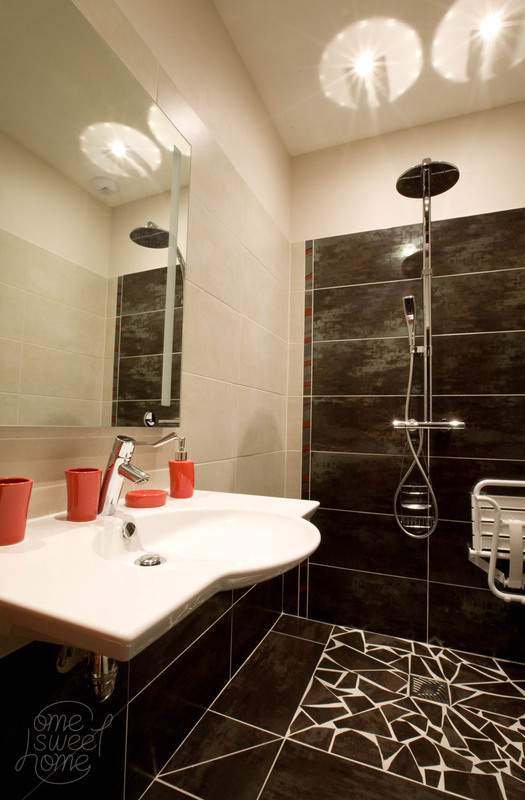 Shower room with a walk-in shower and a bath; separate toilet. 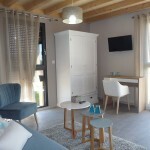 SHair-dryer, flat screen television, free Wi-Fi, cupboard, towel dryer, private parking, a safe, mosquito nets and air conditioning. 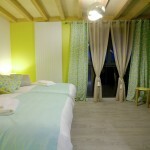 The “Fleur d’Acacia” suite is spacious and can accommodate up to 4 people. 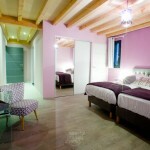 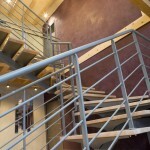 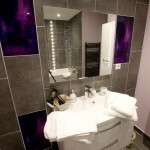 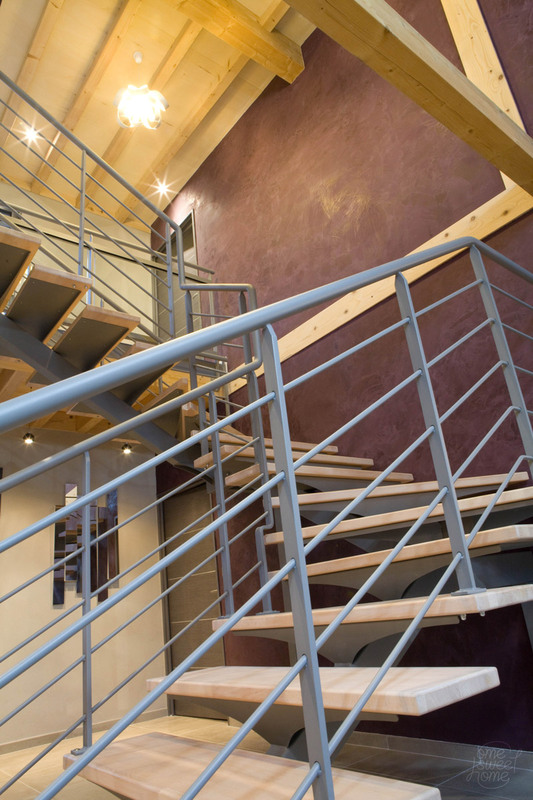 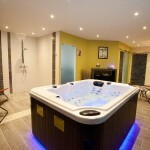 It consists of two seperate bedrooms, a shower room with a walk-in shower and a seperate toilet. 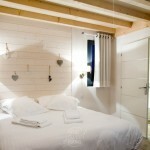 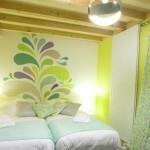 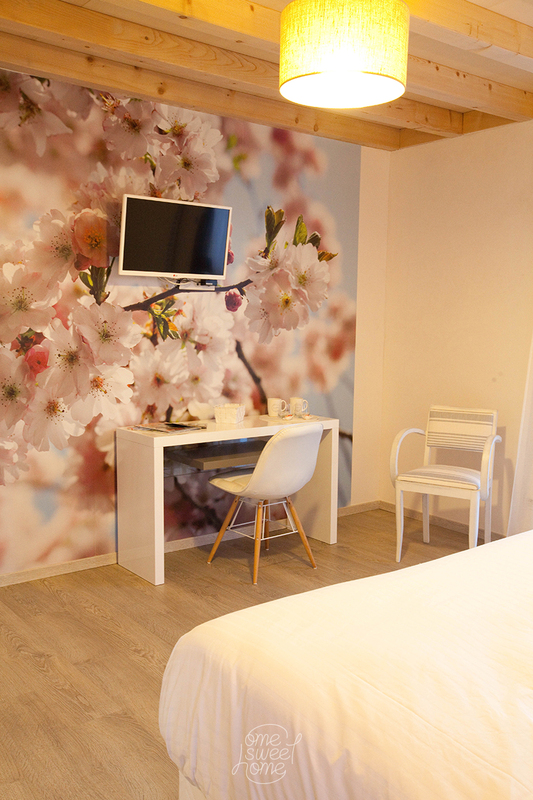 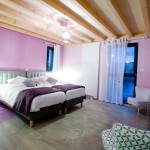 One of the bedrooms has two single beds (90×200) and a sparkling and fresh decoration. 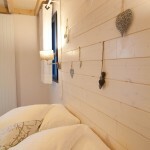 The other bedroom has a very comfortable double bed (160×200), a lounge area with a sofa, an armchair and cupboards. 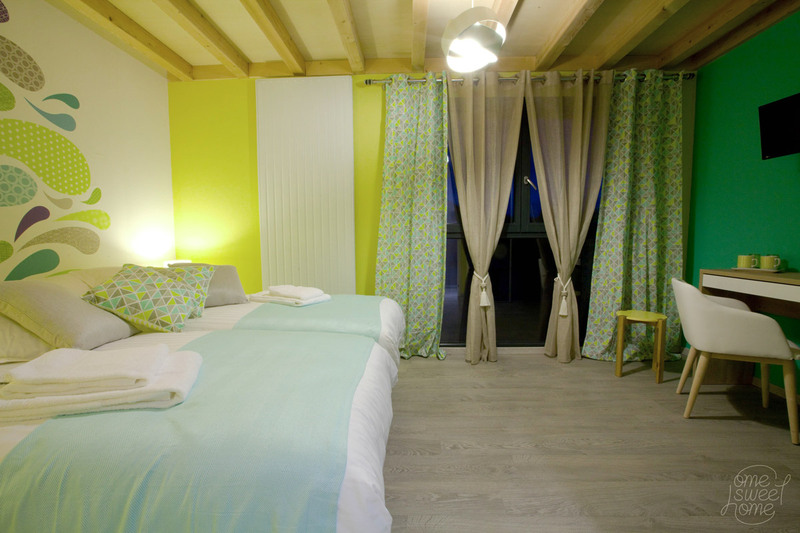 The suite has large bay windows overlooking our delightful village. 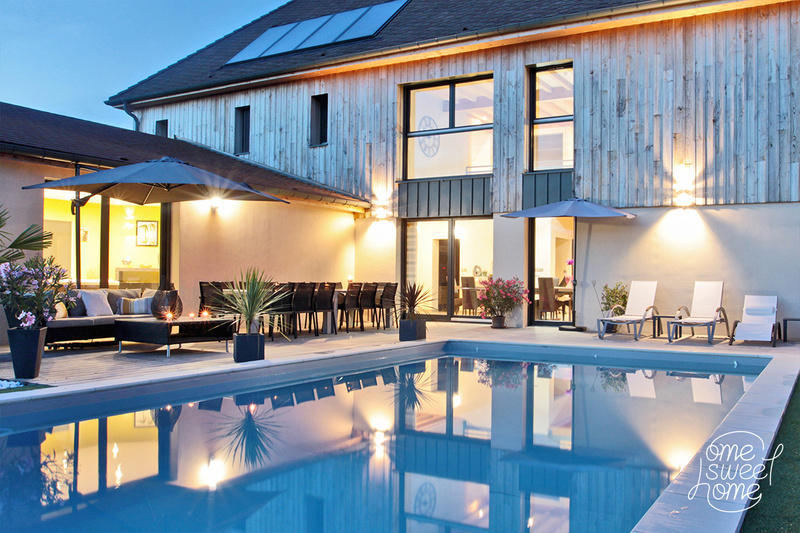 Welcome to an idyllic stay in Champagne! 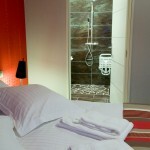 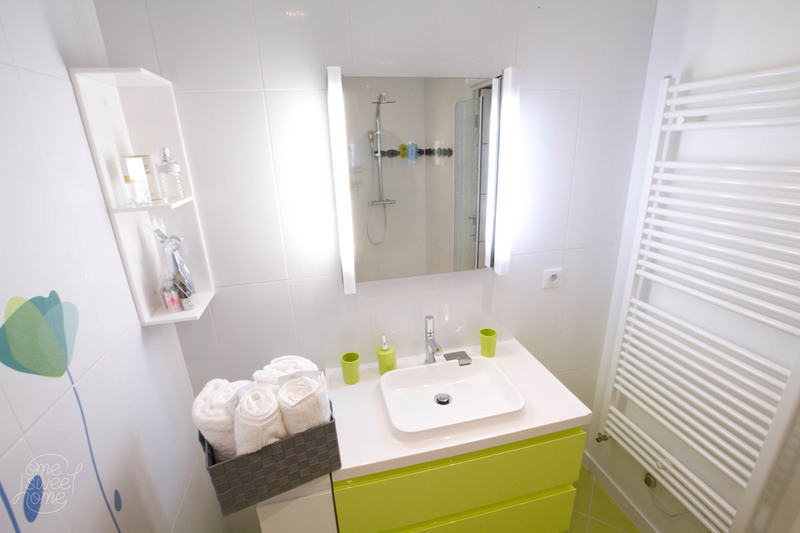 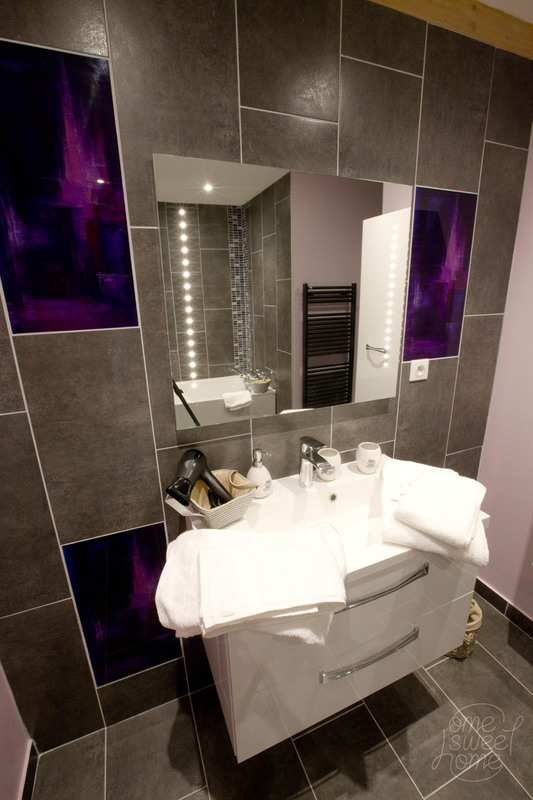 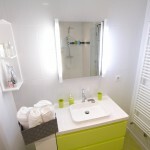 Hair-dryer, flat-screen television, free Wi-Fi, cupboards, a towel dryer, private parking, a safe and air conditioning. 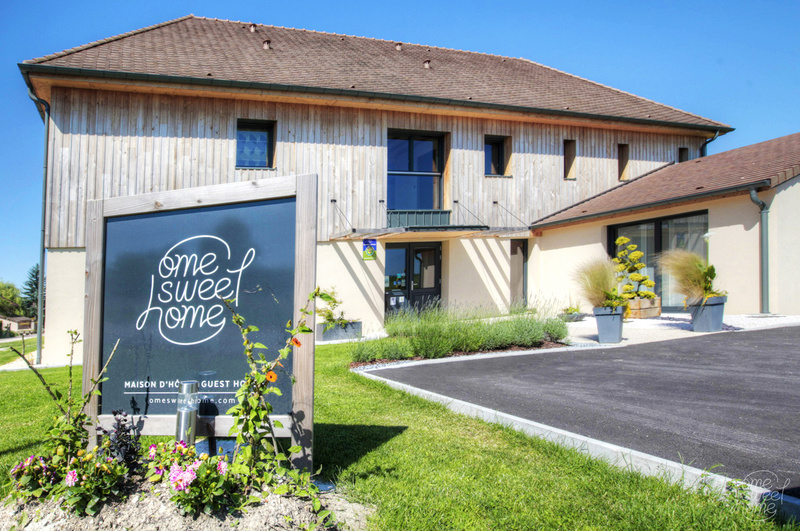 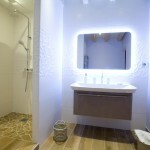 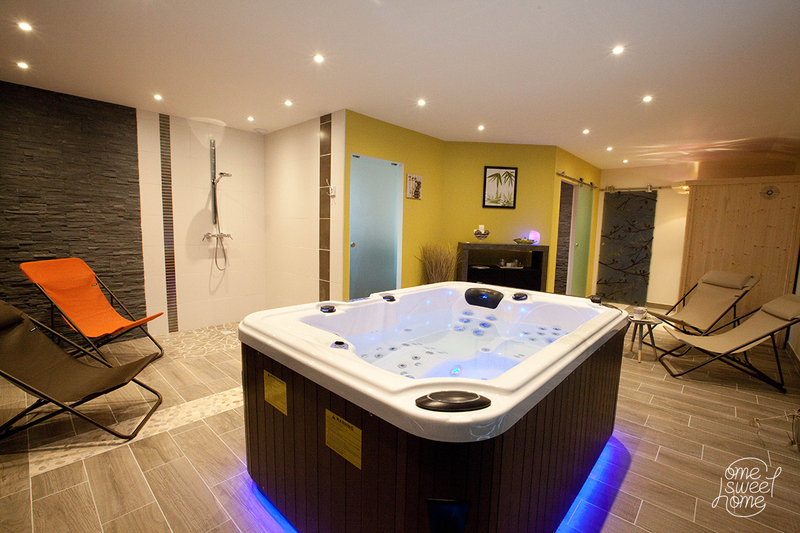 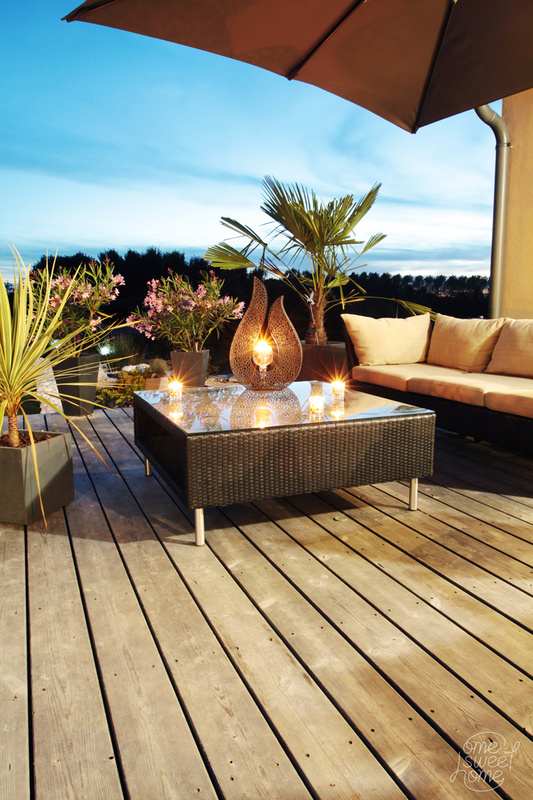 OME SWEET HOME offers its guests a modern relaxation zone with a jacuzzi, a sauna and a herbal tea area; it is designed to promote inner peace and relaxation. 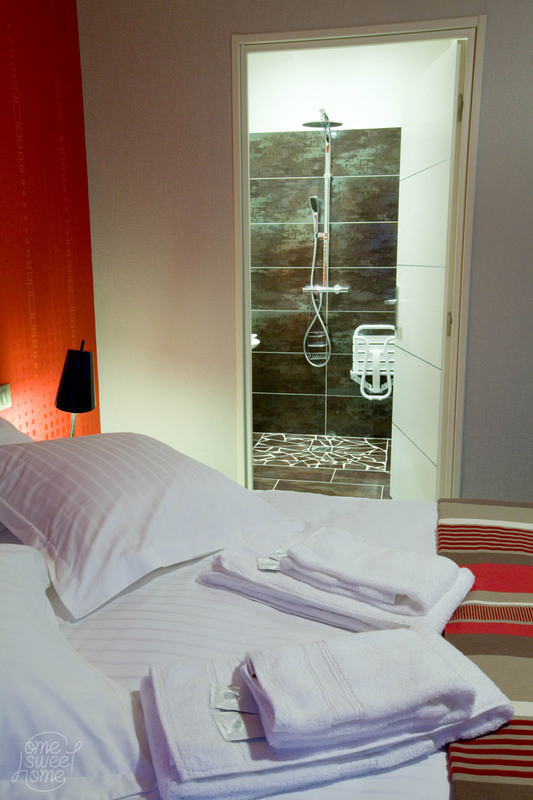 Guests can also appreciate the massages provided by a professional masseur and aimed at relieving them of the stresses of the daily grind. 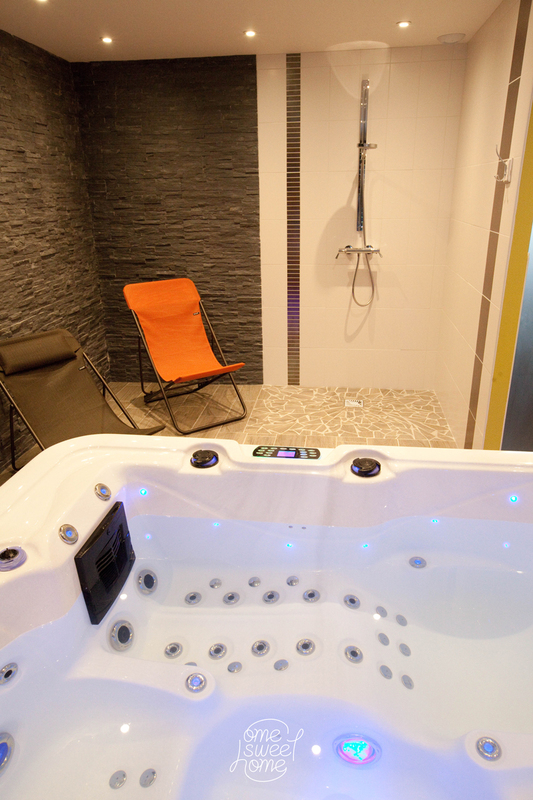 We recommend the personalised Wellbeing massage with essential oils.